Today we’d like to introduce you to Tom Bagamane and Laura Albers. Tom and Laura, let’s start with your story. We’d love to hear how you got started and how the journey has been so far. Tom: Our mission is to provide an unsheltered soul or souls with everything that they need to “survive where they stand” while educating our City on the reality of homelessness and the root causes of poverty. We have been told by parents, children and educators that The Giving Spirit is the best teaching tool for kids and families to learn about true social justice, the danger of making decisions without knowing the facts, the societal disconnect that comes with entitlement and in facing the realization that many of their fellow unsheltered neighbors have parallel lives, hopes and dreams. It realigns their filters when judging those less fortunate. For our homeless friends, our aid not only provides necessary items (food, hygiene, clothing, hydration, cover and protection etc.) to allow them to survive if they had/have absolutely nothing but to also restore hope and self-esteem by acknowledging their existence. Our volunteers are trained to engage everyone they serve to help, even if in just the moment, to reassure them that their lives matter. We have two outreach events a year – one to provide summer survival assistance (June) and one for the winter (December). The summer backpacks have about 40 different items to provide relief from the summer heat and the winter duffle bags have about 75 items to beat back the challenges of living exposed the elements of the rain and cold of an LA winter. We are committed to serving 5300+ lives in 2017. LA: Tom Bagamane founded The Giving Spirit in 1999 in Los Angeles. Founder Tom Bagamane started The Giving Spirit 18+ years ago by getting a few friends together and buying supplies they thought the homeless in their neighborhood could use, putting them in bags, and distributing them on the streets to individuals in need. Distribution has grown from 40 kits in 1999 to over 5,200 in 2016 with more than 45,500 homeless lives served in 18+ years. 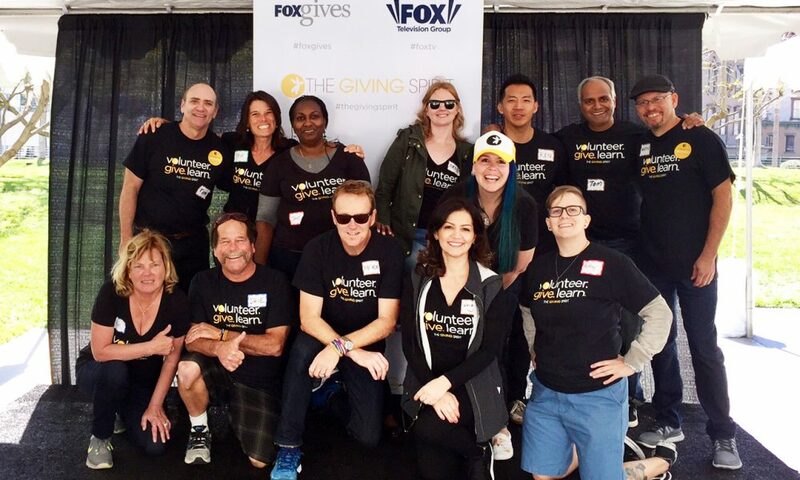 Our efforts have brought together over 14,000 volunteers who have personally and positively impacted the lives of over 45,500 homeless friends from Skid Row to Santa Monica. To continue our mission, The Giving Spirit needs both monetary funding and in-kind donations of survival items used in our kits. The Giving Spirit also relies on the service of more than 50 volunteers for year-round planning and support and coordinated large volunteer efforts to support our two outreach events. TB: It has been an amazing journey. There are/were many challenges. First and foremost, as an all-volunteer NPO we are only as strong as the bandwidth of our volunteers. Our team is successful for two important reasons. First, of course, is their belief and passion around our mission. Secondly, a proven ability to execute. We have very little margin for error and much to execute in a very short amount of time. Life occurs and people’s great intentions for our work can be waylaid for bigger priorities to career and/or family. Sometimes our team gets overstretched and once and awhile we aren’t as effective as we would prefer. However, it’s a testament to our great leaders that those occasions are few and far between in 18 years of service. We still get tremendous respect for how we operate, execute, impact and have managed growth – all as volunteers. LA: Any business, non-profit or for-profit, experience their fair share of struggles and challenges alongside the wins and successes. After 18+ years we’ve worked through many of the challenges whether they be raising funds, sourcing materials and products to build survival kits for the homeless, or sheer volunteer-power. But twice a year, people rally and come together for a greater cause. To go into the streets and directly distribute survival kits that impact an individual human being is an incredible experience. We’ve found that there is a dual experience and benefit for both the homeless individual and the volunteer. Our homeless neighbor receives much needed items that cover hygiene, food, and hydration and in the winter include up to 75 essential items like a blanket, hat, shirt, and a handmade card crafted by one of our child volunteers. We bring these items directly to them, right where they stand. The volunteer experiences a deep learning about humanity and the power of caring for another human being in very real need. Both feel the transformative power of hope in humanity. We encourage handshakes and hugs, eye contact and warmth of spirit and words. The homeless population does not receive this kind of acknowledgement regularly. It brings hope. 5. Been called the best teaching tool (social justice, poverty, entitlement, decision-making) for kids and families in LA. 6. Using that platform to broaden our educational platform in LA. LA: We are known for our ability to meet our homeless brothers and sisters where they stand. We bring them survival kits and we share ourselves with them. We learn about who they are and their struggles. We provide a comforting presence and a compassionate ear for listening. For The Giving Spirit, it’s about providing that acknowledgement and hope to a group of human beings that feel disenfranchised and forgotten. We focus on the quality of interactions rather than quantity and the impact ripples on both sides of the exchange for the homeless person and volunteer. We’re also unique because we encourage the entire family to volunteer together. We have many children that have grown up volunteering with The Giving Spirit. In addition to our street outreach, The Giving Spirit is creating education and curriculum to foster greater understanding and compassion for the homelessness issue. We are currently focused on building out our education initiative to bring our message of Hope for Humanity to the people of Los Angeles and create more content and connection throughout the entire year. TB: Thanks to HHH and H – the LA County and LA City initiatives dedicated to spend tax money to build permanent housing for our unsheltered we hope that will stem the recidivist numbers and help slow the growth of homelessness in LA. LA: Yes, LA has possible the largest homeless population in the country with roughly 47,000 homeless. It’s a concerning and overwhelming problem everywhere but we think LA is ripe for change and has a new energy about helping homelessness. Mayor Garcetti has been a fan of The Giving Spirit and has joined us in our efforts in recent years, in addition to his own initiatives. Now, with the recent vote to infuse significantly more money into the issue throughout the city, we couldn’t be more thrilled to see this happening. For The Giving Spirit, we too hope to raise more funds and spread our impact through our new education initiatives in addition to the survival kit distribution and outreach that happens twice a year in Summer and Winter.